Chances are you won’t recognize the name Manoj Bhargava, but the founder of 5-Hour Energy has promised to give away 99% of his wealth. “Billions in Change,” a short film produced in association with Peter Berg (“Lone Survivor” and “Friday Night Lights”), examines a hive of inventors whom Bhargava has gathered in Farmington Hills, Mich. An immigrant from India who became a successful entrepreneur, he is now worth $4 billion. Bhargava’s Stage 2 Innovations hasn’t necessarily created new inventions, but the group has refined several pre-existing ones into more practical technologies. The most familiar to many viewers will be their Free Electric bike. The electricity here isn’t really “free,” but rather human-powered. What they’ve done is optimized and standardized the technology so that—as they say—an hour of bicycling can power the needs of a modest home for up to a day. The notion isn’t so far-fetched. The technology’s already there, but the lack of a profit motivation has kept other companies from pursuing it. Stage 2 is also researching more efficient geothermal energy collection. Geothermal energy itself is nothing new, and it’s already been realized in several countries around the world. These plants are a promising technology, but for the moment remain inefficient. Relying on drilling deep into the earth and transferring the heat there into power, up to 90% of that heat energy can be lost by the time it gets to the surface. More effective conductors, such as copper, can’t be used because they melt. Stage 2 has instead focused on graphene as a conductor. Graphene is the single-atom layer skimmed off the surface of graphite. Its tensile strength is greater than that of steel and it loses almost no energy in heat transfer. The difficulty lies in figuring out how to practicably strand graphene together into the type of conductors needed for geothermal plants. 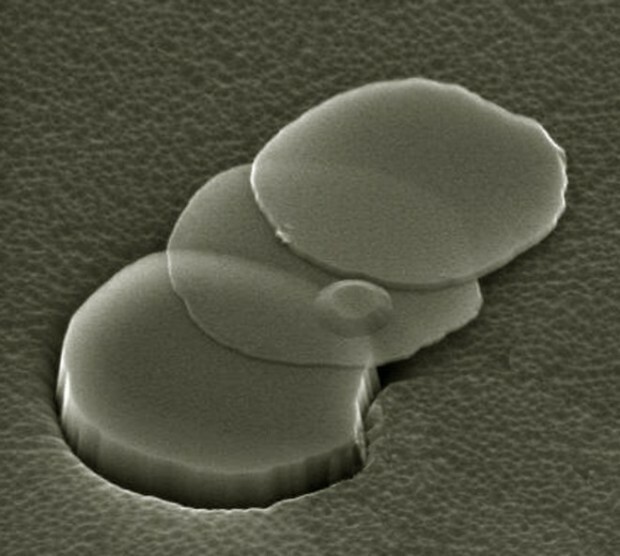 Below, you can see a scanning electron micrograph of the separation process taking place. The “mesa” at the base is bulk graphite. The layers being taken off are graphene. Stage 2 has also worked on clarifying brackish water. The technology already exists to turn salt water into fresh, but it’s energy-intensive and often cost-ineffective. Stage 2 has worked on optimizing the technology. Although they don’t mention any specifics in the film, Bhargava states one potential goal as putting 200 water treatment barges off the coast of southern California in order to address the state’s water shortage. The chief goal isn’t for drinking water, Bhargava says, but rather to supply more demanding agricultural needs. Bhargava even calls upon an all but extinct form of cardiovascular therapy where cuffs on the legs compress and pump blood back into the heart between every heartbeat. Think of them as very aggressive compression socks. A way of training the heart and body to circulate more blood with every heartbeat, there isn’t a great deal of information about the therapy at the moment, and it’s not a household appliance. A medical specialist must be on-hand to apply the technology in a safe way. This is the least proven of Bhargava’s pursuits, but the one he seems most personally excited about. All of these projects possess short-term impracticalities. As wealthy as Manoj is, he’ll still have to work with governments and corporate partners in order to drill sufficiently into the Earth or build 200 water-purifying barges off the coast of Southern California. Such large endeavors also come at a cost that, if all are pursued, would strain even Bhargava’s budget. “Billions in Change” is a film that may help Bhargava skip much of that aggravation on his way to realizing some of these projects. Watch it on YouTube below. 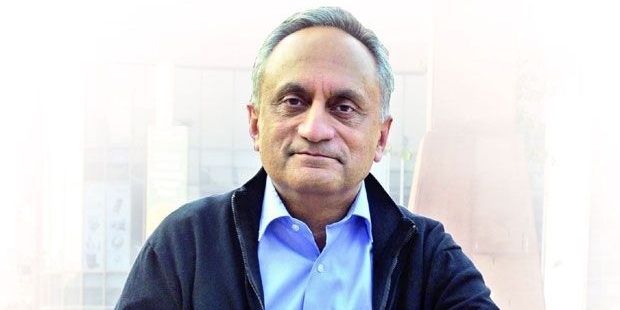 What do you think about Billions in Change and Manoj Bhargava’s endeavor? Is he on the right track believing science can save us?